Shopping for jeans can be one of the most harrowing of purchasing exercises (it comes right after finding the right-fitting bra). We've narrowed it down to two reasons why it's so problematic: 1. You can never find your right size, and 2. You can't find a pair that is truly personal. Now, while the first issue is just a case of working out which styles work for your body shape, we can now help with the second thanks to M.i.h jeans, which has just launched its first customisable jeans service. As part of its Denim Girls Project, you can now select from eight styles to re-jig to your heart's content. But it's so much more than that. The beauty about this new tool is that you can do it online with the ability to change up hems, cuffs, and collars, or even add embroidery, patches and tassels. And that's not all, you can make totally bespoke requests via the submissions box which goes straight to the design team who will work on the craziest of suggestions with you. 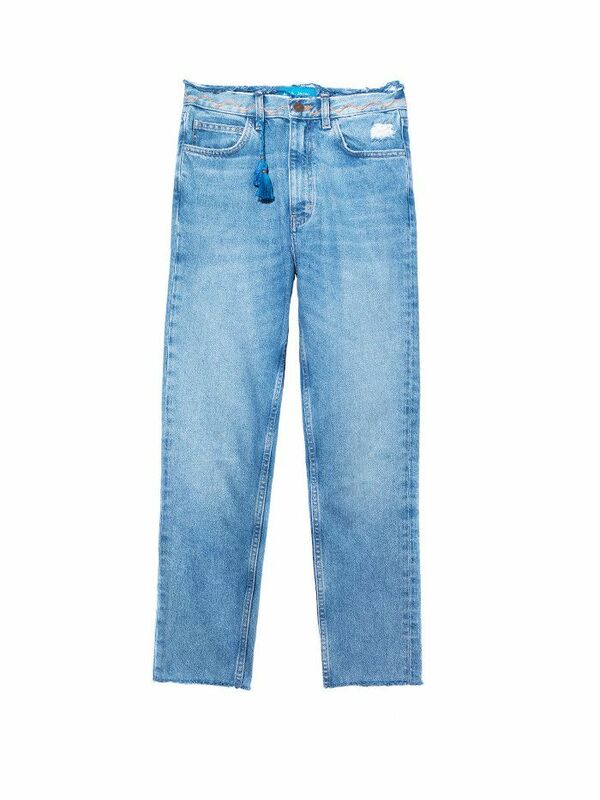 You can also send in non-M.i.h jeans for up-cylcing, re-tailoring and personalising too. And the cost for a truly original piece of denim? Custom cutting is free, then the service starts at £15. The tool is going to be ongoing, and each season new components will be added with new badges and embroidery ideas. That very much sounds like a bargain to us. Click through our gallery to see some customised pieces, as well as which denim pieces you can shop and personalise right now. Want to add a subtle detail to your jeans? Try a chic tassel. Patches immediately add a fresh edge to a denim jacket. Add stitching to give your jeans a personalised twist. Next up! How to ace all of the latest jeans trends in your 30s.